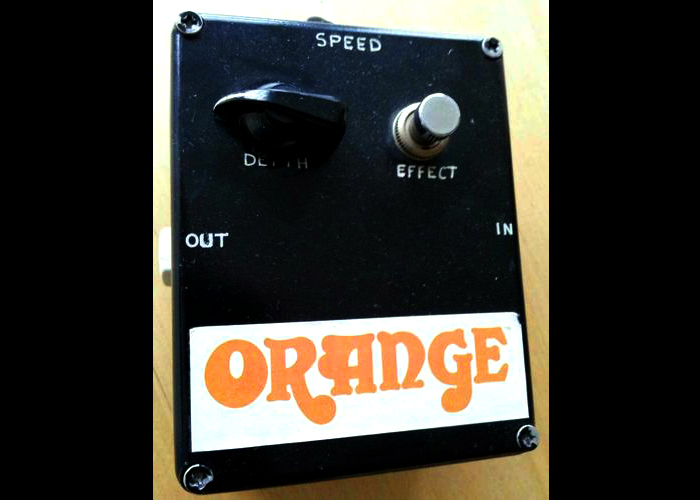 Tone Machines Blog: Orange Phaser Prototype - Gary Hurst? 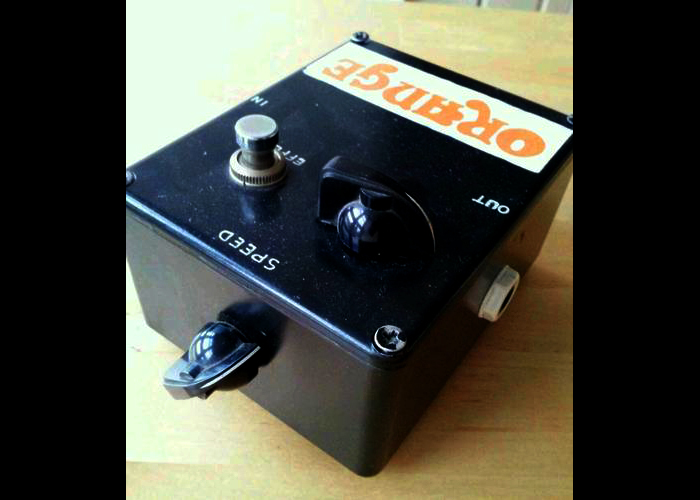 This is labeled as an Orange brand phaser, and on the inside is a sticker stating it was made by the Tonebender man himself, Gary Hurst, in 1972. 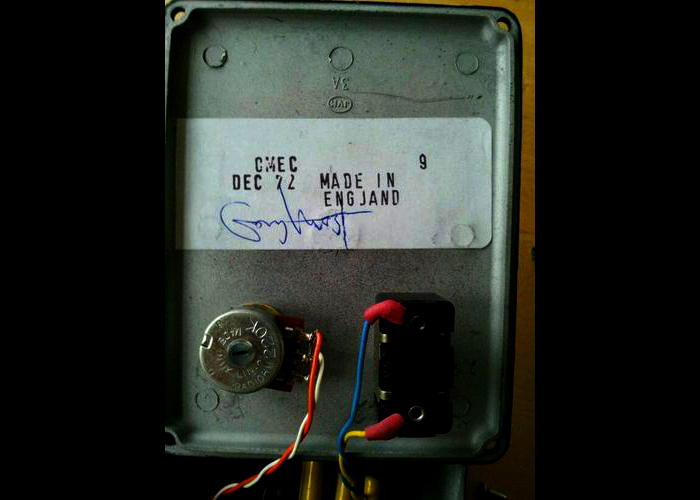 It has a pretty standard set of knobs for Depth and Speed, but it is hard to tell just what this was based on? What strikes me as weird about this pedal is that in 1972 there were not very many phase shifting effects out there at all. The only one that comes to mind actually is the Maestro ps-1, which was HUGE in comparison and was a completely different set up than this. 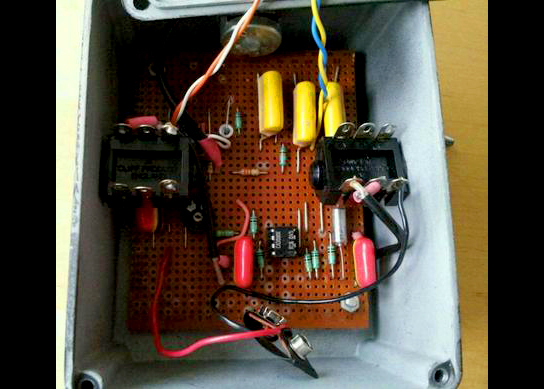 The MXR Phase 90 didn't arrive for another 2 years... So who knows? With all of that, I can only assume that this was not a proper "production" unit for Orange or Color Sound, but some random prototype the ended up in the hands of that eBay seller years later? The other possibility is that this phaser that was supposed to actually be part of an Orange amplifier and was never intended to be a pedal at all? Either way, it's a mystery! and we love those here.